The current stock market environment feels a heckuva lot like the late 1990s. Large-cap growth stocks, particularly some high-profile Internet companies, are leading the way now, just as they did then. Value-oriented investors, including some of the most well-known portfolio managers, are getting shellacked. The international markets are also trailing the U.S. market by large margins. Overall, the current environment is very similar to what we witnessed more than 15 years ago when globally diversified portfolios trailed the S&P 500. Let’s look at what happened then – and what we should be prepared for now? U.S. large cap growth stocks are leading all U.S style boxes – by a lot. Over the last year: Large-cap growth has dominated other style boxes. It is up nearly 9%, crushing the second place style box at just over 2%. Last three years: Large-cap growth is up 20% a year, again in a commanding lead over the next best style box. Last five years: Large-cap growth is up just over 16% a year, the best performance of any U.S. style box. At CLS, we have been overweighting large-cap growth stocks for some time now, particularly through our high-quality investment theme. This positioning has helped us considerably. So, if this is like the late 1990s, what can we expect moving forward? 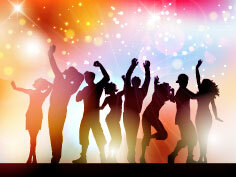 Growth could continue to outperform in the near-term. In fact, we think it still can. Not only is momentum on its side, but we believe relative valuations still support this positioning. While large caps compared to small caps aren’t as cheap as they once were, and neither is growth compared to value, it’s still a net lean towards large cap growth – at least for now. But this performance will eventually reverse – and it will likely be with a vengeance. Look at the late ‘90s experience. Growth peaked in early 2000, and within a few years all of the outperformance of growth versus value – and then some – was lost. It pays to be vigilant. 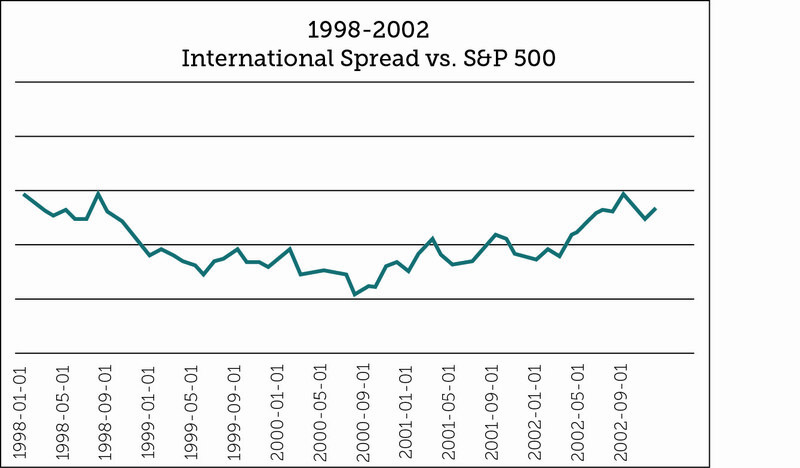 Next, let’s look at the outperformance of domestic stocks versus international. The U.S. stock market is simply crushing international. The U.S. market has an annualized five-year return of 14%. This compares to MSCI EAFE’s five-year annualized return of 4%. MSCI Emerging Markets (EM), meanwhile, has lost nearly 6% a year. Over the last three years, the U.S. is up 17%, EAFE is up 8%, and EM is down 6%. The U.S. is up 2% over the last year, while the EAFE is down almost 3% and EM is down 18%. At CLS, we have also been overweighting international stocks for some time. This positioning has not helped us – yet. So, what can we expect moving forward? Domestic could still outperform in the near-term. It has momentum on its side. 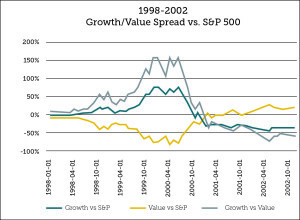 But, it does not have relative valuations supporting its positioning. In fact, relative valuations strongly support international – so much so that expected returns for international over domestic is over 7% per year according to our proprietary CLS score. Also, this performance will eventually reverse – again, with a vengeance. 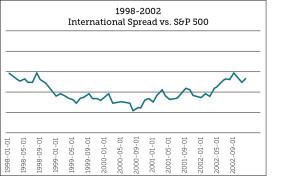 After the 1990s, domestic markets peaked in mid-2000, and within a few years all of the outperformance of domestic versus international was lost. Note: Jackson Lee, CLS Investment Research Analyst, did some serious number-crunching on this article. The views expressed herein are exclusively those of CLS Investments, LLC, and are not meant as investment advice and are subject to change. No part of this report may be reproduced in any manner without the express written permission of CLS Investments, LLC. Information contained herein is derived from sources we believe to be reliable, however, we do not represent that this information is complete or accurate and it should not be relied upon as such. All opinions expressed herein are subject to change without notice. This information is prepared for general information only. It does not have regard to the specific investment objectives, financial situation and the particular needs of any specific person who may receive this report. You should seek financial advice regarding the appropriateness of investing in any security or investment strategy discussed or recom­mended in this report and should understand that statements regarding fu­ture prospects may not be realized. You should note that security values may fluctuate and that each security’s price or value may rise or fall. Accordingly, investors may receive back less than originally invested. Past performance is not a guide to future performance. Investing in any security involves certain systematic risks including, but not limited to, market risk, interest-rate risk, inflation risk, and event risk. These risks are in addition to any unsystematic risks associated with particular investment styles or strategies. The graphs and charts contained in this work are for informational purposes only. No graph or chart should be regarded as a guide to investing.